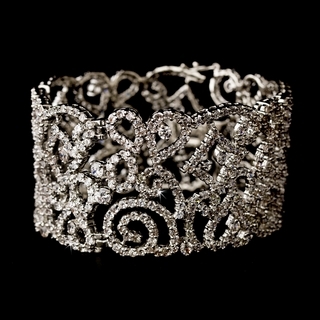 This gorgeous cuff bracelet features hundreds of clear cubic zirconia crystals and a subtle silver detailing. This classic piece has a vintage flair, making it the perfect accessory for a variety of gown styles! Size: This bracelet measures 8" in circumference and 1-1/4" wide.